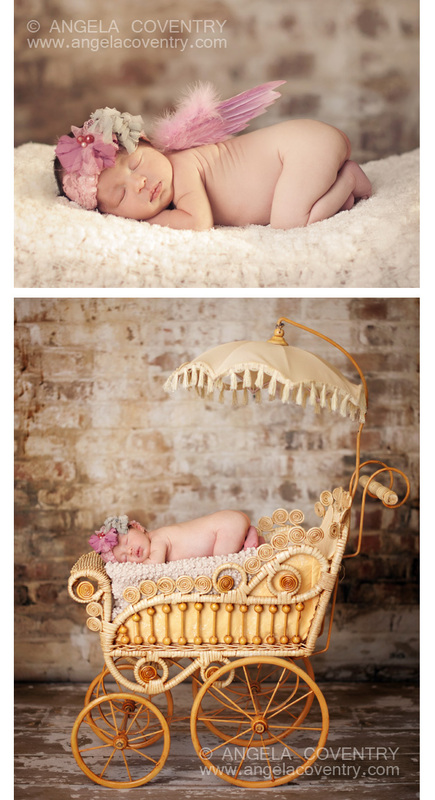 This little cutie came to the studio for her newborn photos and slept like the angel she is. Mama got her nice and full, she was toasty warm and went right to sleep for us…perfect. Newborn angel photos are heavenly :).